The Nikon D4s Digital SLR Camera features a 3.2” LCD screen, 170º viewing angle, 100% frame coverage, and an EXPEED4 image processor inside a strong-yet-lightweight magnesium alloy body with a professional form factor. The high pixel count, FX (full) format sensor produces exceptionally sharp, clean and well-saturated images. Buttons illuminate for easy use in the dark and there are controls for both vertical and horizontal shooting. Live View allows a videographer to watch their footage on the LCD and an external monitor at the same time. Videographers can also bypass memory cards and record uncompressed footage directly from the image sensor onto an external storage device. The clean HDMI output signal is 1080p video in 4:2:2 color space (8-bit). Peak audio meters makes it easy to adjust sound levels manually in 20 incremental steps. Image playback enlarges 46x for detailed spot-focus confirmation and your shooting speed can be boosted to an ultra-quick 11 FPS. The ISO can also be boosted to a very high 409600. This camera is ideal for high-speed shooting of events and sports, fashion photography, low light shooting, and for videography. If you're looking for a 4K-capable version of this camera, please see the Nikon D5. 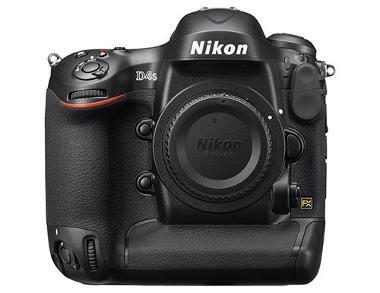 • This Nikon D4s accepts (1) CF card and (1) XQD card which are not included with this rental and are rentable separately.